A mammogram is an X-Ray test that produces an image of the inner breast tissue on film. This technique, called mammography, is used to visualize normal and abnormal structures within the breasts. 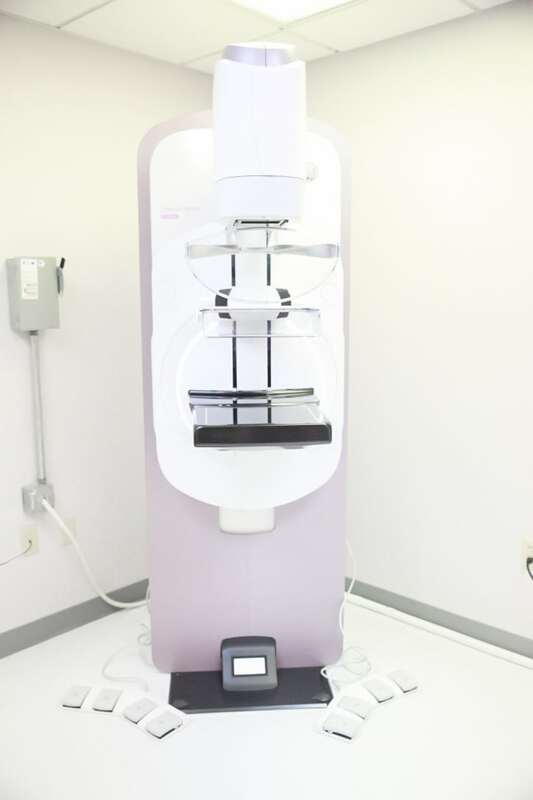 Mammography, therefore, can help in identifying cysts, calcifications, and tumors within the breast. It is currently the most effective way to detect early breast cancer. Breast self-examination (BSE) on a monthly basis and examination by a doctor are still important, but physical examinations typically find breast cancers when they are much larger than those detected by mammography. While mammography can discover a small cancer in a curable stage it’s not foolproof. Ten to fifteen percent of breast cancers are not identified by mammography and these cancers are found by physical examination. It is essential for a woman to perform monthly BSE and have a breast examination by her doctor in addition to the mammogram in order to most effectively screen for breast cancer. For more information, please contact your physician. Some women – because of their family history, a genetic tendency, or certain other factors – should be screened with MRI in addition to mammograms. (The number of women who fall into this category is small: less than 2% of all the women in the US.) Talk with your doctor about your history and whether you should have additional tests earlier and at more frequent intervals. For more information, please contact your physician.